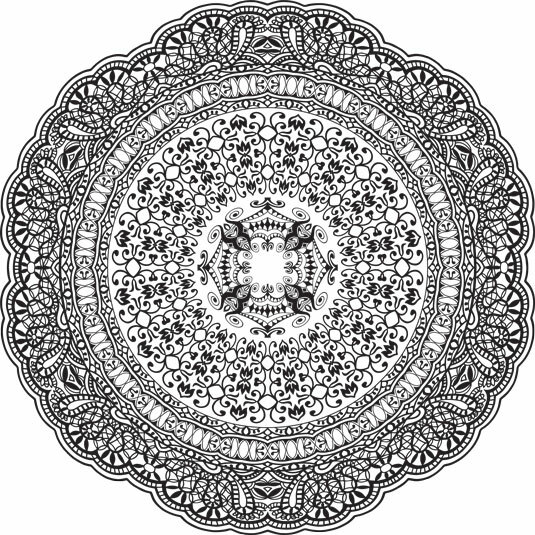 Check out this mandala, which combines detailed areas in the center with larger spaces on the outer part of the design. 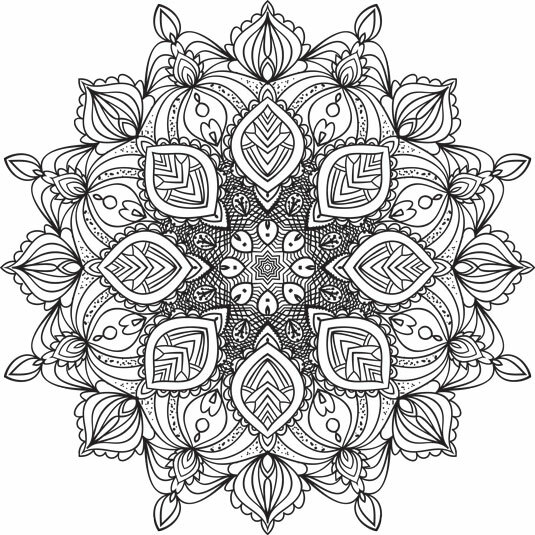 Download this mixed mandala and enjoy both detailed and more basic coloring areas in one! This mandala also mixes detailed areas on the outside with more open areas on the inside. 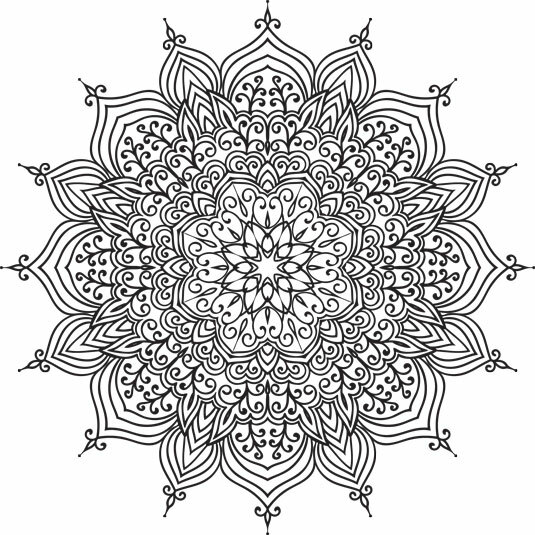 Download and print this mandala and make it your own. 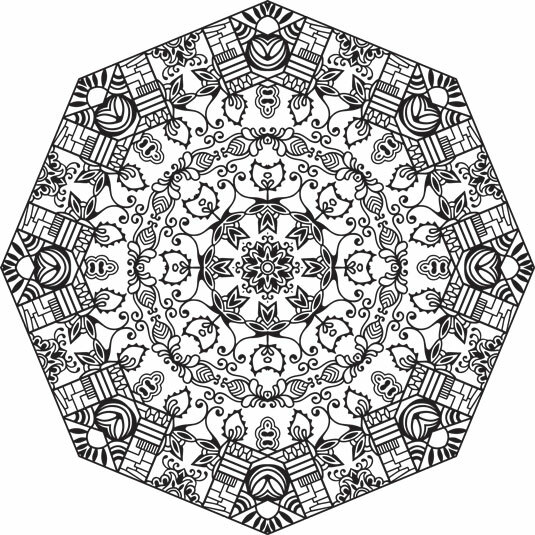 This mandala might remind you of Russian church tops. This mandala has smooth-flowing lines and outer peaks that resemble Russian steeples. What do you see in this mandala — flowers and leaves, or smiling cats and bumblebees? 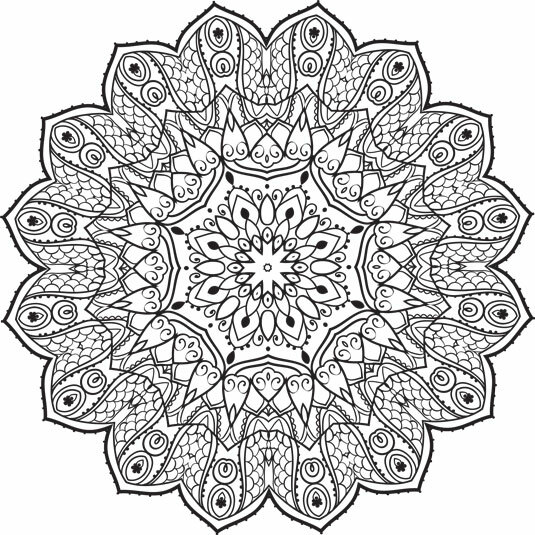 Download this mandala and use whatever colors you want to bring out your vision. This incredibly detailed mandala will require a steady hand. Download this detailed mandala and get out the fine-tip markers.